So, this evening I was playing with my Kong. It had really yummy peanut butter in it and I kept chasing it around and losing it under things. I haven’t yet mastered how to hold onto it and get the Peanut Butter out at the same time. I lost it under the couch a few times and crawled under there to retrieve it. Apparently this was a funny sight…. I’m not sure why…. I just wanted that PEANUT BUTTER! 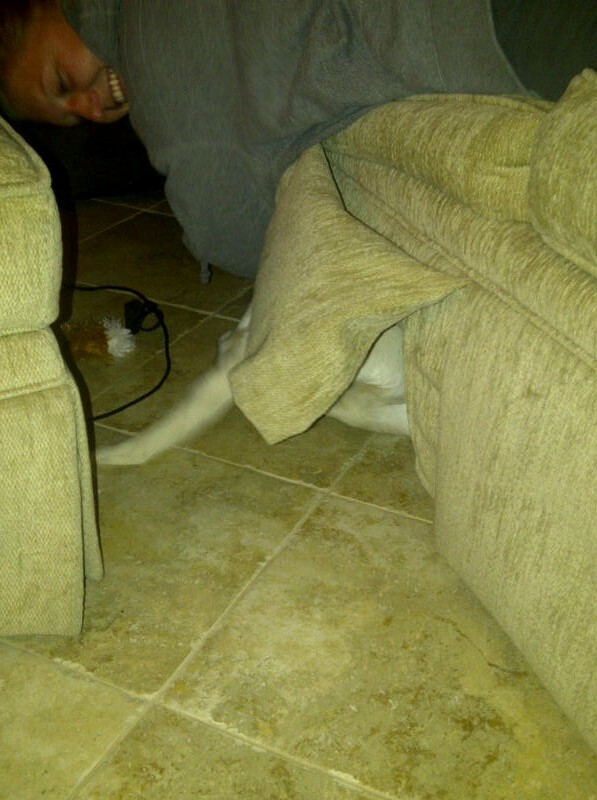 she can still fit under the couch??? i thought you said she was growing!!! Ah yes, she is…. just not as fast as you might think. She is about a medium sized doggie now. And can still ‘barely’ fit under the couch.